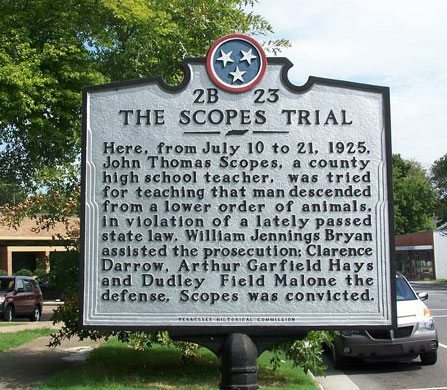 This week marks the 89th anniversary of the Scopes “Monkey” Trial, held in Dayton, Tennessee. Today, we remain fascinated with this and other high-profile trials, perhaps because—despite much evidence to the contrary—we need to believe that sometimes justice prevails, truth wins, the bad guys get their due. 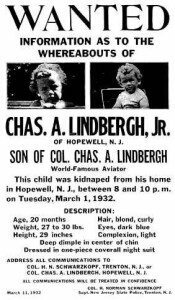 I’ve written novels about two of these famous trials, and although they took place just ten years apart, generated a great deal of media attention, and are still used as examples in our best laws schools, they differed in significant ways. Whereas the Lindbergh baby kidnapping trial lasted six long weeks the winter of 1935, included a murder victim (Charles Lindbergh’s 20-month-old son, “little Charlie”), an accused man (Bruno Richard Hauptmann), and a laundry list of circumstantial evidence, the Scopes Evolution trial was almost purely a tactical, intellectual, and often emotional debate between William Jennings Bryan (a fiery orator and three-time presidential candidate), and Clarence Darrow, the most successful trial lawyer in the country. 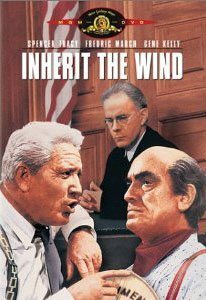 Inherit the Wind–film version of the Scopes trial. The “defendant,” John T. Scopes, was a young, first-year H.S. teacher and a football coach, who agreed to be arrested (a formality, he was never actually detained) so that the Butler Act, a Tennessee law which forbade the teaching of “any theory that denies the story of divine creation as taught by the Bible and to teach instead that man was descended from a lower order of animals” could be challenged in a courtroom. The job of a novelist is as much about making decisions (Who will tell the story? Will there be more than one narrator? How much back story will I provide? What are the ages, genders and occupations of my fictional characters? 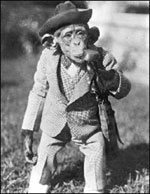 Will the real/ historical characters speak and/or interact with the fictional ones? etc.) as it is about crafting language. Trials really are fascinating events, and I think that they can come reveal a lot about a society at a particular in time. Coming from Ireland, where I think the media tend to be a little less sensationalist about court proceedings, I am always amazed to see jurors being interviewed on TV or to see televised cases. I wonder what novels will be written about current day trials in the future? !